The usual suspects are part of the NCAA men’s basketball Final Four unfolding Saturday and Monday at 77,122-seat AT&T Stadium in Arlington, Texas. Kentucky and Connecticut classify as certified bluebloods of college basketball with eight and three national titles, respectively. Florida isn’t far behind by winning trophies in 2006 and 2007. Then there’s Wisconsin. High school basketball talent is not exactly in large supply. ESPN includes only one player from the state in its list of the top 80 potential college recruits. In addition, the Badgers do not have a commitment from any of the 100 top-rated high schoolers in the class of 2014. 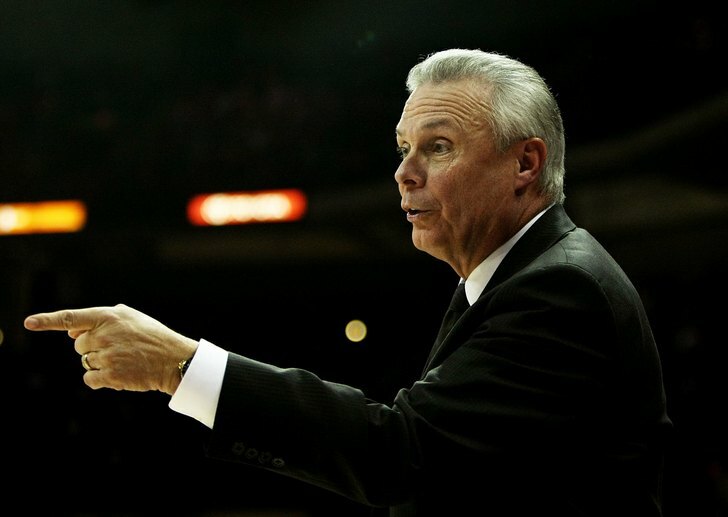 Coach Bo Ryan, in his 13th year, is able to build a consistent winner by heavily scouring the Midwest for kids who can play basketball his way. The 16-man roster includes six Wisconsinites, nine others from the Midwest and one from California. To be fair, Wisconsin won the NCAA title … in 1941. That’s compared to the six national titles corralled by the Badger hockey team. But basketball interest is hardly in short supply. Over 16,800 fans per game crammed into the Kohl Center last season, seventh best in the nation. It doesn’t hurt that the home team has won 88 percent of its games there. Ryan, 66, who might remind you of your Uncle Clark, did not magically end up as coach of the Badgers. He toiled for 15 years at Wisconsin-Platteville, garnering four Division III national champions. He then guided Wisconsin-Milwaukee for two years before moving to Madison. Ryan’s record at Wisconsin is an outstanding 321-120 and his teams have never missed an NCAA tournament. Reaching the Final Four has been an elusive goal. Oh, Bo would take his father, Butch, to the Final Four but only as spectators. Sadly, Butch died in August. At first glance, Wisconsin’s match with Kentucky looks daunting. But don’t count out the Badgers. Some might call this team “plucky” but that’s a disservice. This team is good, really good. Kentucky coach John Calipari will have to devise a way to stop 7-footer Frank Kaminsky, a mobile big man with a deft touch from beyond the three-point arc. Ben Brust, Sam Dekker and Traevon Jackson add double-figure scoring. It’s also a clash of philosophies. Ryan relies on players who, for the most part, will stay at Wisconsin for four years while Calipari embraces the one-and-done rule, happy to coach guys for a year before they head to the NBA. Here’s hoping Bo knows the way to two more victories and an NCAA crown.